New Kits Are In Development ! 100% POSITIVE DRIVE FOR YOUR ALTERNATOR! Easily Drives Up To A 200 Amp Alternator! Completely Eliminates Belt Slippage & Squeal! Provides More Complete Battery Charging! 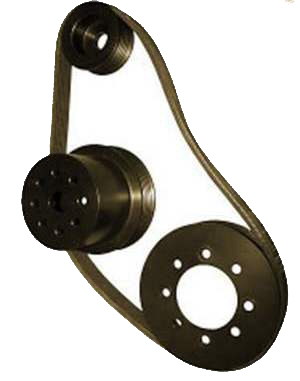 PULLEY KITS START AT ONLY $499!